K-bobby’s designs have been photographed by many of the top fashion photographers, with designs featured in issues of several popular magazines. Emmy Award winner, Celebrity Hairstylist and Fashion Designer Kenneth “K-Bobby” Edgar grew up in Jamaica, in a family where his father, a typical Jamaican male of that era, was appalled that his son showed early interest in women’s fashion. Fortunately, K-Bobby’s mother was a forward-thinker, believing that her son’s obvious clothing talent was a gift that should be appreciated and developed, encouraged his interest. 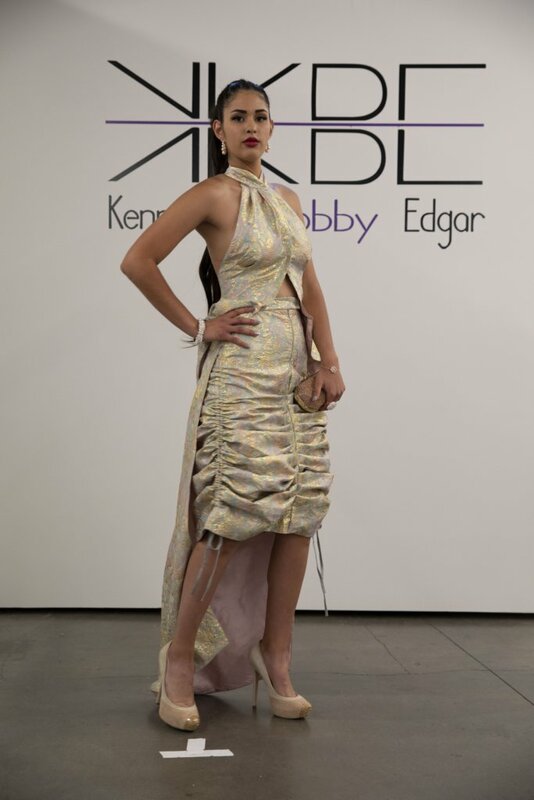 Starting at the unbelievable age of 12, K-Bobby quickly became a seasoned designer and dressmaker in his village, sewing gowns for brides, bride’s maids, beauty queens, graduations and balls. He realized his gifts were real and rare and, wanting to augment his natural abilities with more formal training, at the age of 17 he enrolled at Madame Francois’s School of Fashion in Kingston. K-Bobby earned an Emmy in 1995 for his work as hair stylist for the 1994 CBS mini-series, “The Oldest Living Confederate Widow Tells All”.